To benefit the Prince Albert II of Monaco Foundation. Featuring Chinese oracle bone script numerals, the one of a kind F.P. 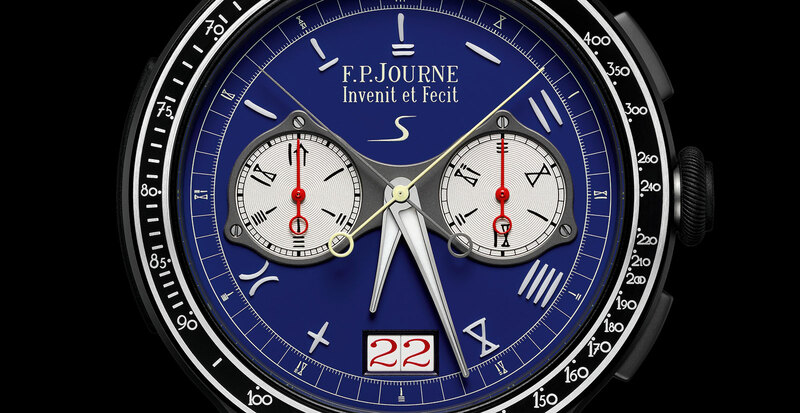 Journe Chronograph Monopoussoir Rattrapante in titanium just sold for S$400,000, or about US$290,000, at the Prince Albert II of Monaco Foundation gala dinner in Singapore, which took place on November 9, 2018. Bidding for the watch opened online several days before the auction, with the internet bids reaching S$101,000 just before dinner. With Prince Albert of Monaco and Francois-Paul Journe in attendance, a pair of phone bidders battled for the watch during the live auction, with the victor, said to be a prominent collector from outside Singapore, eventually clinching it for S$400,000. The price is well over four times the S$90,800 retail price of the ordinary model, making the watch the most valuable lot in the auction. All of the evening’s proceeds go to the Prince Albert II of Monaco Foundation, which supports environmental causes worldwide.